You know those memories that stick with you forever? The ones where you say, "yes, this is why I am here, this is why I do this." Growing up, I shared many of the same adoption-related thoughts and feelings common to adopted children. As a young adult, I started to ask, "what does being adopted mean to me?" Through a series of life events, I decided to search for my original identity and family and obtain a deeper understanding of self. On a blazing hot summer day about this time of year, I reached out to my state's confidential intermediary for an update on my request for my original birth certificate. I had been accepting, up until that point, that maybe this information was not really mine to have. When you grow up having little information, it's hard to figure out what of your history is really yours. For some reason, I decided to gently share with the intermediary how hard waiting felt. I will never forget her dry, disinterested reply. "Well, not everything can favor the adoptee here," she said. In that moment, an adoption activist was born. At 24 years old, this was the first time in my entire life that my identity as an adoptee and my identity within the larger group of adopted people had made me feel worthless. I have been working to change the messages that adoptees receive by attempting to effect policy change since that day, having many opportunities to work with amazing individuals from organizations. 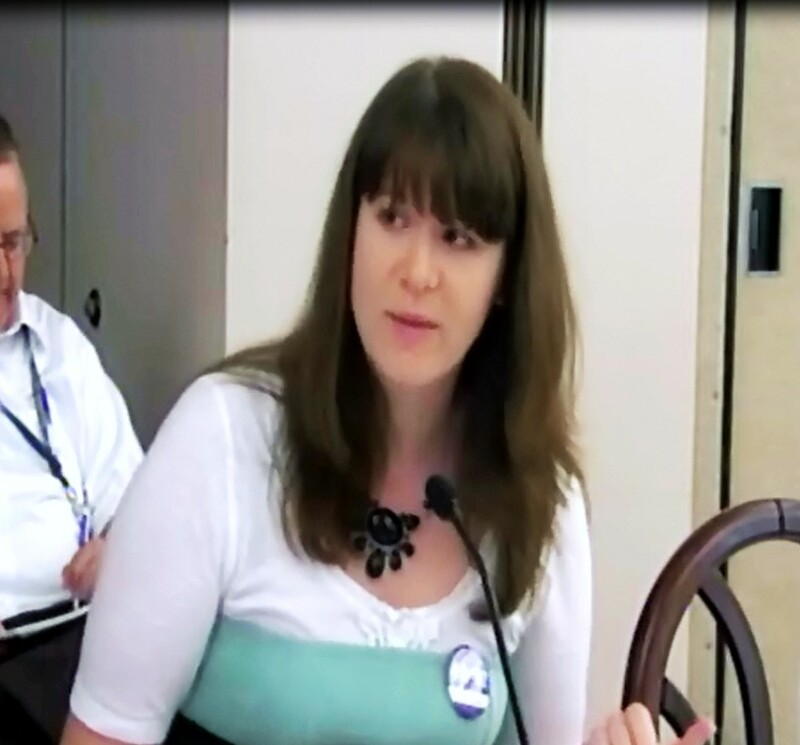 I have also presented Adoptee Rights before Congress and will be releasing a book about my activism this September. 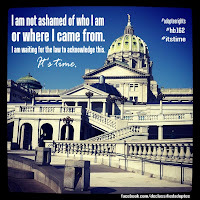 Yesterday, I had the opportunity to do something I have been waiting for four years to do: testify on an Adoptee Rights bill in my home state of Pennsylvania. I am passing what I've learned on to you. It is not everyday that you get to witness or even watch a taping of an Adoptee Rights hearing. The streaming video is here, look for the hearing dated July 17, 2013. 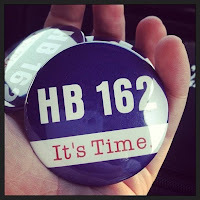 The bill is HB 162. It seeks to restore the right of adult adoptees who were born in Pennsylvania to access their original birth certificates the same way that everyone else enjoys. Share your expertise. A hearing is not the place to be shy about your credentials that make you an authority on this issue. It helps support your testimony and also lets legislators know that you might be the best person to answer a specific question they may have. Share the cost of what you are asking for. Will it spend money? Save money? Or is it fiscally neutral? Sometimes this is the most pressing thing on a legislator's mind. Share the problem. Be able to succinctly articulate what you feel the problem is in a way that a legislator can understand. Make this a recurring theme throughout your testimony. Share the solution. How do you think this problem can be solved? If this can be solved through the bill you are testifying, highlight how--specifically as it relates to the problem you have identified. Share the impact. Seek to portray an inclusive and respectful picture of all who are impacted by an issue. Share common values. Let legislators know how they can relate to this issue no matter what political affiliation they may hold. Share your strengths. Rather than focusing on your deficits or the deficits of the group you are advocating for, speak from a perspective of strength, and resilience. Share your story. This makes your testimony and the points you've made memorable. Avoid making it about reunion. 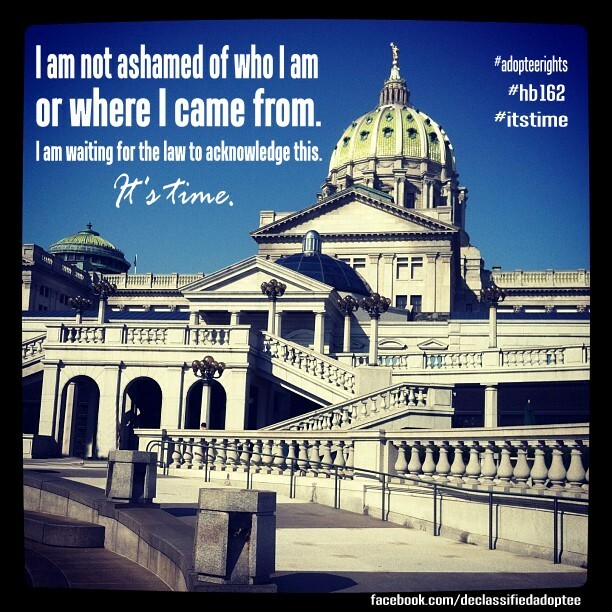 There are two reasons I don't like to talk about reunion and/or personal healing when it comes to Adoptee Rights legislation. (1) those reasons do not represent all adoptees who might want their birth records and (2) giving an adoptee their birth record based on their reunion only goes so far as to grant access based on the prospect of reunion. Yes, it's true that people will never tire from hearing our reunion stories and stories of triumph. But it doesn't stop them from asking the questions, "what if the reunion won't go well?" or "what if she doesn't want to be found?" It all comes down to one argument: this is legislation about what most everyone has access to that adoptees largely do not--do we deserve equality? Yes or no? Few people in my experience will say "no, you are not equally human because you are adopted" when Adoptee Rights is framed in this basic, straightforward way. So I say, why not start out there to begin with? This hearing went very well and I believe my dear friend Julie will all of her journalist magic will be doing a more complete analysis of the actual events at her blog. Not one legislator voiced opposition to it and most voiced their strong support. One mistake that I did make was to not tell a story. Telling a story, such as the one in the introduction to this post, would have made my testimony more memorable. Luckily because this bill should be moving forward in the near future, there will be a next time. I did reflect on the intermediary's words when I gave my testimony today in my mind and heart. Yes, this is why I am here. It's the right thing to do.